Over the past year we've picked up some great tips from true Instagram masters. Rather than keep all their words of wisdom to ourselves, we compiled some of their best advice below. Read on to learn how to get more followers on Instagram from 16 photographers with a combined following of nearly two million fans. Want to be featured on our Best of Instagram series? Follow Global Yodel on Instagram and tag your best local shots with #GlobalYodel! This may seem counter-intuitive, but if you want more followers on Instagram, you need to quit worrying about how many people are following you. Instead, focus on developing your voice. Figure out what you like to shoot, the subjects you like to work with, and what editing process really captures your vision. The photographers we interviewed said once they started to shoot for themselves the likes and followers poured in. It may look effortless, but our Instagrammers confessed it takes time to capture that perfect walking-down-a-deserted-road-into-the-sunset shot. Sometimes they take as many as 20 or 30 pictures of the same subject before they get the perfect capture. Give your photos time to develop (pun intended). Stop posting photos of your feet in the sand, photos of you jumping in front of famous sites, and please, enough with the duck face. Let your feed guide you. What is it about the photographers you admire that makes their work so captivating? Is it the way they light their shots? Their perspective? The captions they write? For extra credit, get off Instagram and look at the work of commercial and fashion photographers. Try to understand exactly what you like about their shots and see if you can apply some of those techniques to your own work. You can be inspired by others but still create something entirely new. "It's like any other photography"
Sure, advancements in technology have made capturing, editing and sharing photos a snap, (yep, another pun) but that doesn't mean you can take shortcuts. 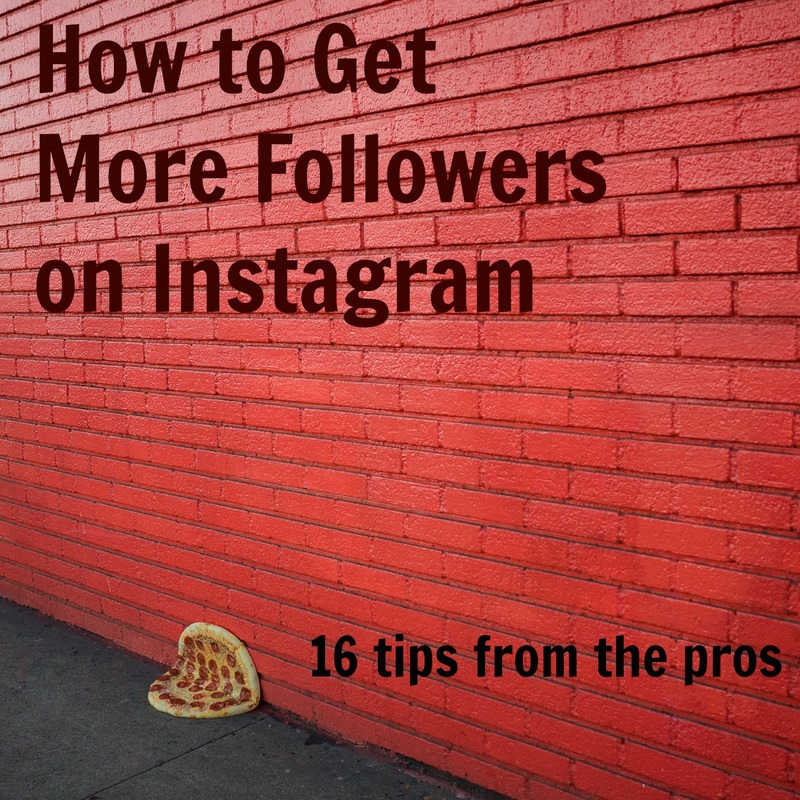 If you want more followers on Instagram you have to treat your work like the art form it is. Your turn. What are your tips for getting more followers on Instagram? Share your thoughts below!